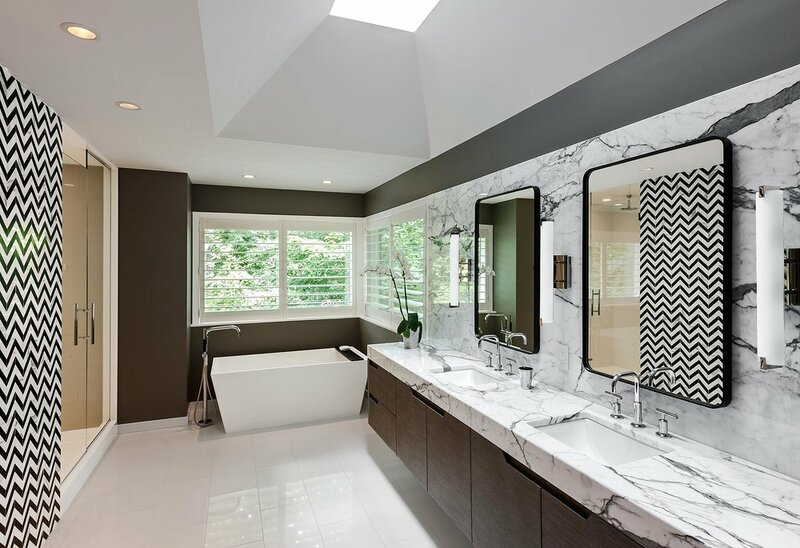 Originally constructed in 1987, this contemporary home was thoroughly reimagined through a whole house remodeling to “live smarter” within the existing envelop of space as a fresh expression of modern living for a family of four. The client/interior designer and architects collaborated to enhance the strengths and “good bones” of the house – the dramatic vaulted spaces, ample natural light and views of the wooded site. Every surface and element within the house was addressed to convey the dynamic identity of the client. 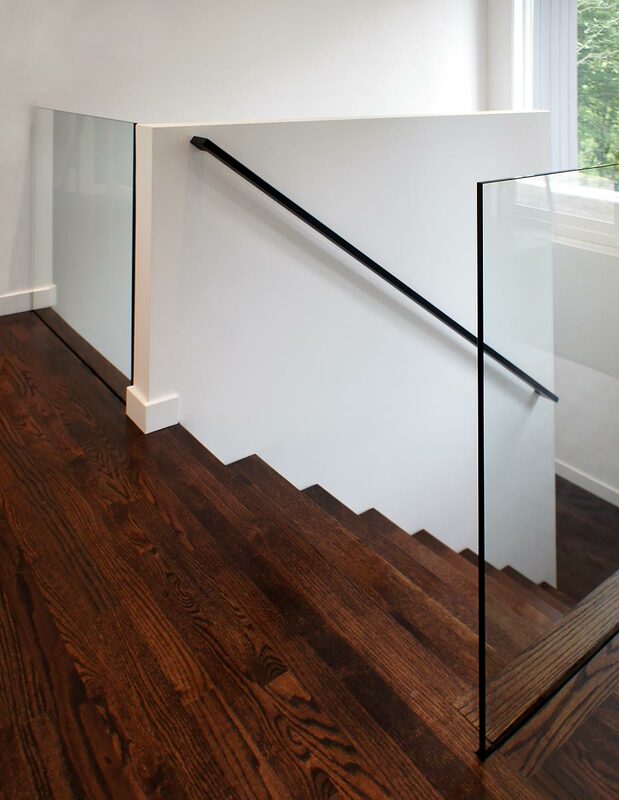 New deep hardwood and stone floors on the main level compliment crisp painted millwork, wall and ceiling surfaces with new lighting expressing the sculptural form of the spaces and elements within. 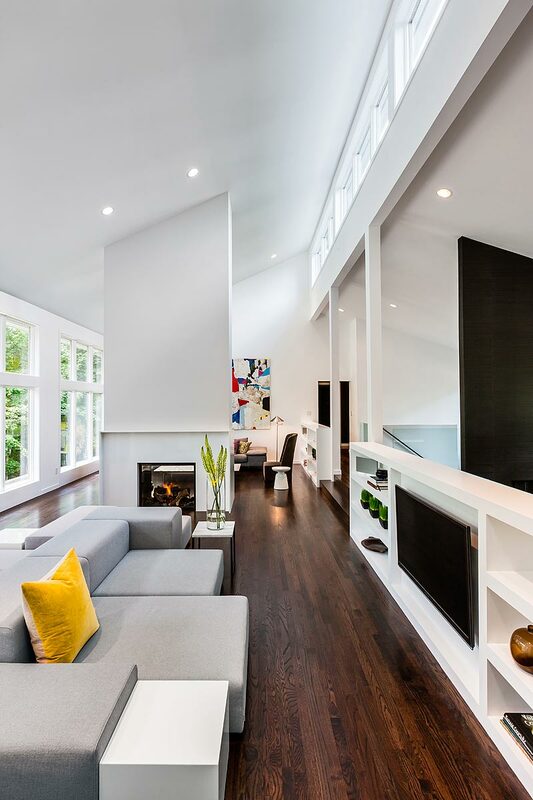 The dual living rooms surround a reconstructed fireplace as the focal point between a formal sitting space and an informal family room with new built-in entertainment and storage elements. 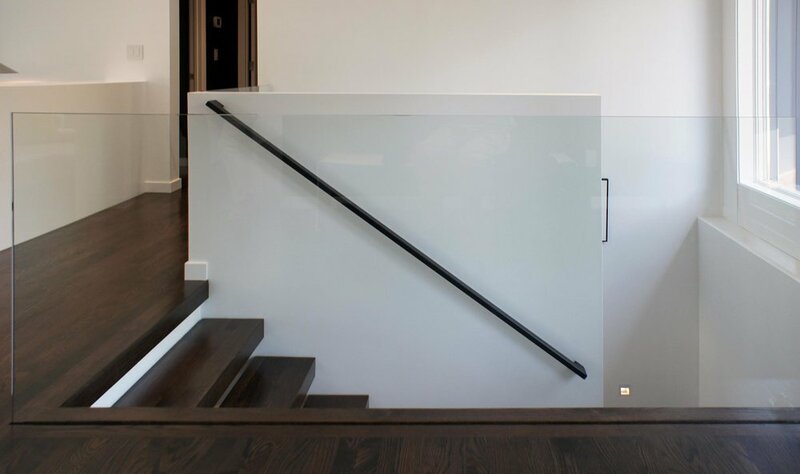 A new open riser stair and glass rail opens the space and light to the lower level. The kitchen was recomposed to create an “inside” zone for the cook and an “outside” zone for eating and serving. 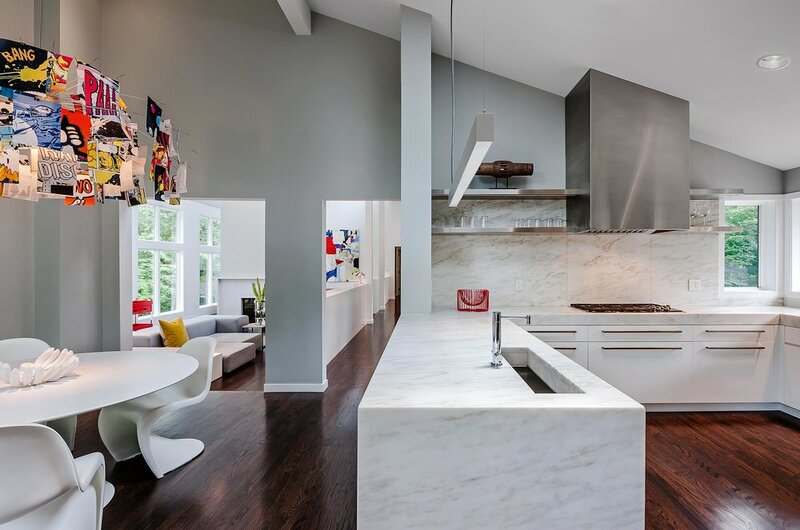 The thick marble countertops define the edges of this larger crisp and open working kitchen. 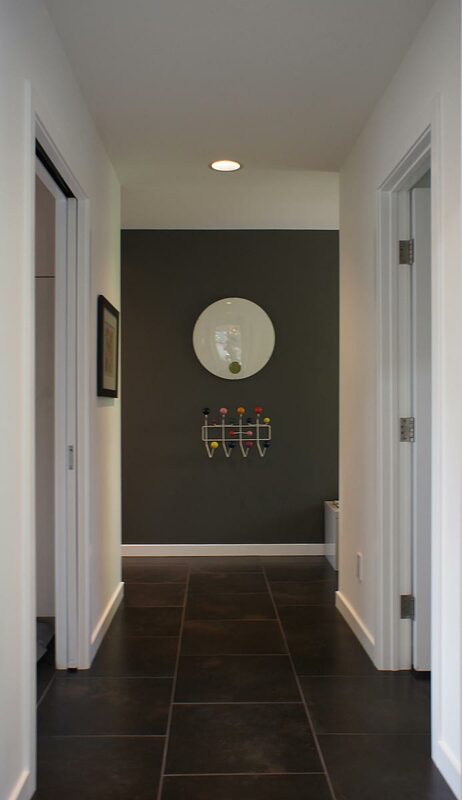 The mudroom and laundry wing was recomposed with fewer walls and better organization of function and storage. The master suite was redesigned to omit walk-in closets and create a larger bedroom and walk-through dressing space. 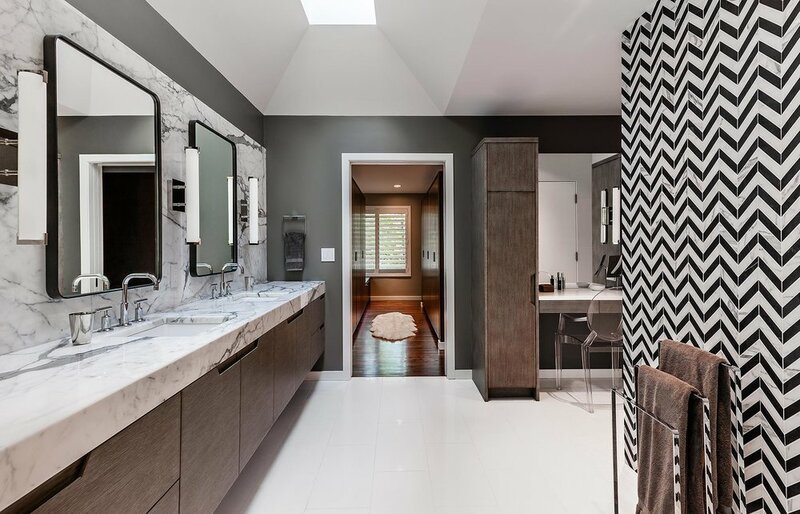 The master bath design created more open space with a hidden water closet and shower behind a graphic mosaic wall as well as a new vanity space and cabinetry. 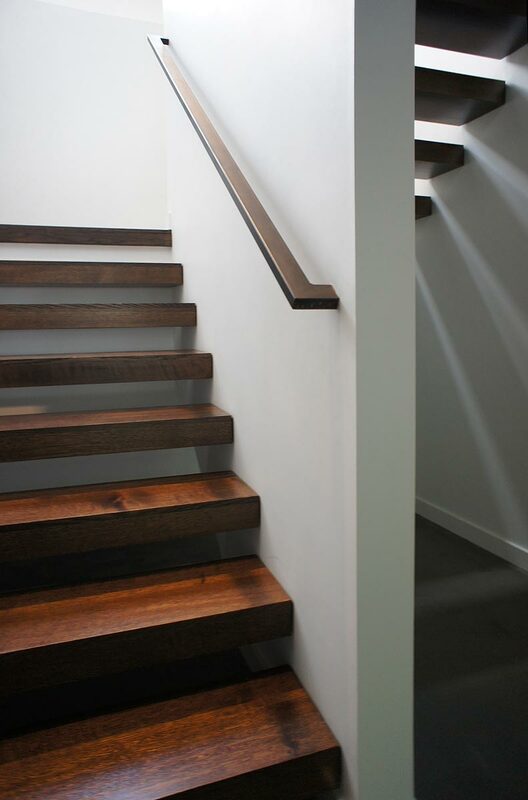 This established more open space and function within the existing suite. The lower level composition created two large children’s bedrooms, an office and reorganized TV lounging and games spaces for play and entertaining.